Summary: Study six Gospel texts that are critical to the discussion of first-day versus seventh-day Sabbath keeping. This article is part of a series. 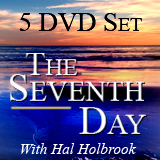 We recommend that you first read: What is the Seventh-Day Sabbath?, Eight Scriptures that Discuss the Sabbath. 1. "In the end of the sabbath, as it began to dawn toward the first day of the week, came Mary Magdalene and the other Mary to see the sepulchre" (Matthew 28:1). The Sabbath had passed, and it was about daybreak on Sunday when Mary of Magdala and the other Mary came to look at the grave. Where the Authorized Version or King James Version says “the first day of the week,” the NEB says "Sunday." Two days are mentioned. One is given a sacred title, “the end of the Sabbath,” and the other numerical value, “first day of the week.” Note also the first day did not begin until “the end of the Sabbath.” There is no transfer of the Sabbath day here. Then they returned and prepared spices and fragrant oils. And they rested on the Sabbath, according to the commandment (Luke 23:56 NKJV). 2. "And when the sabbath was passed, Mary Magdalene, and Mary the mother of James, and Salome, had bought sweet spices, that they might come and anoint him. And very early in the morning the first day of the week, they came unto the sepulchre at the rising of the sun" (Mark 16:1-2). Mark’s record was, according to some scholars, written approximately ten years after the resurrection. Mark refers to the same event as was described by Matthew, and he agrees with Matthew that the Sabbath was passed. 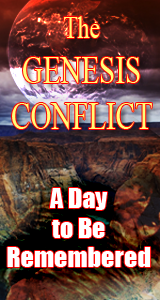 Again, we have Biblical evidence that the Sabbath and the “first day” are two distinct and separate days. Certainly Mark places no sacredness on the first day in this reference. Jesus’ followers had come on Sunday to engage in labor the customary “embalming” of the body of the crucified Christ. They knew no sacredness attached to the day and were prepared to toil at a very unpleasant task. 3. "Now when Jesus was risen early the first day of the week, He appeared first to Mary Magdalene out of whom He had cast seven devils" (Mark 16:9). There is not a word in this verse indicating that Sunday should be the new Christian Sabbath. 4. "And that day was the preparation, and the sabbath drew on. And the women also, which came with Him from Galilee, followed after, and beheld the sepulcher, and how His body was laid. And they returned, and prepared spices and ointments; and rested the sabbath day according to the commandment. Now upon the first day of the week, very early in the morning, they came unto the sepulchre, bringing the spices which they had prepared, and certain others with them" (Luke 23:54-24:1). And the evening and the morning were the first day...the evening and the morning were the second day (Genesis 1:5,8). 5. "The first day of the week cometh Mary Magdalene early, when it was yet dark, unto the sepulchre, and seeth the stone taken away from the sepulchre" (John 20:1). The Gospels of Matthew, Mark, Luke, and John each give parallel accounts of the work of Christ on Earth. This is the reason for the repetition in the above verses quoted. Nothing is said about Sunday sacredness, nothing to suggest that Sunday should be kept as the Sabbath. 6. "Then the same day at evening, being the first day of the week, when the doors were shut where the disciples were assembled for fear of the Jews, came Jesus and stood in the midst, and saith unto them, Peace be unto you" (John 20:19). The text says nothing about the disciples holding a meeting in honor of Christ’s resurrection. In fact, they took the resurrection report of Luke as “idle tales, and they believed them not” (Luke 24:11). As is stated clearly in John 20:19, “the doors were shut” not for a meeting or celebration of the resurrection, but “for fear of the Jews.” The disciples were hiding from the Jewish persecutors. They assembled from fear, not for worship. While it is true that Christ rose from the grave on Easter Sunday, there is no evidence for keeping Sunday in honor of the resurrection. The Bible teaches that baptism, rather than Sunday, is the memorial to the resurrection of Christ.